There’s forever been a stigma attached to middle-aged men and women who drive around in America’s most believed sports car: the Chevy Corvette. 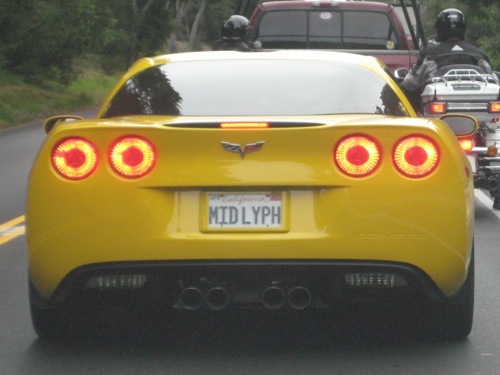 This ‘Vette owner got it right with this honest license plate. ~ by ASSMAN on August 17, 2010.